Tonight, Friday June 13, sees Arcane Moon take to the stage. Arcane Moon are an acoustic two-piece who play popular cover versions. Hailing from Dundalk and Moneymore in Co Derry, the pair pride themselves on offering something a little different. “What you get with us is two guitars, two voices, and no tricks or backing tracks,” says Conor Nulty. With a strong emphasis on musicianship, Arcane Moon tackle the songs that others don’t. “We call it ‘acoustic with edge’,” offers lead guitarist Eamon O’Neill. Although primarily an acoustic act, Eamon regularly breaks out the electric guitar, adding another dimension to the pair’s sound. From artists as varied as Christy Moore to Metallica, expect to hear the likes of Paulo Nutini, Bastille, AC/DC, and The Waterboys in their set. This Saturday June 14, The Snug welcomes Acoustic 2, an acoustic cover band playing a wide range of songs to suit all musical tastes from the old classics to the current chart toppers. You can expect a very lively performance that always gets the crowd involved. June 15 is Super Sunday at The Snug, with live music from 7pm to close. 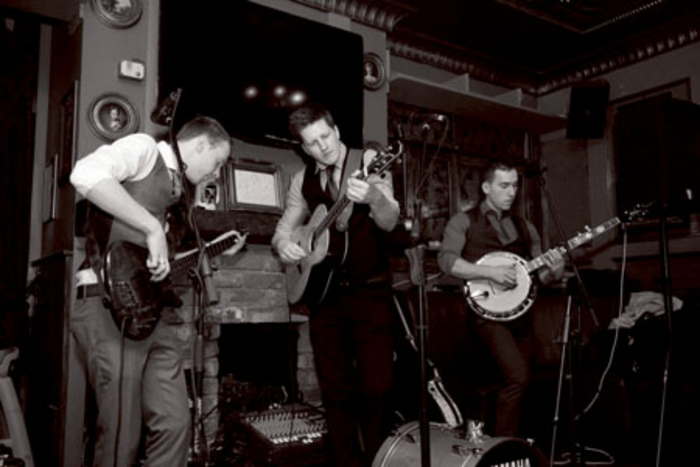 The Ramblers are an Athlone-based folk/ pop fusion made up of cousins Jack Byrne on guitar/ accordion, Billy Henshaw on banjo/ mandolin/ guitar, and Mark Fitzgibbon on fiddle. They incorporate a unique blend of folk, traditional, rock, bluegrass, and pop music together to form a musical partnership between numerous genres. Next up on Sunday evening is Toxic Twins, a drums and guitar duo. This rock/ pop covers band from Dublin is likely to satisfy even the most demanding music enthusiasts with their wide repertoire of songs from acts such as Bruno Mars, The Police, Temper Trap, Lumineers, The Knack, Undertones, Talking Heads, U2, Bob Marley, Kings of Leon, David Bowie, Michael Jackson, The Killers, Blondie, and many more. The Snug Bar are delighted to announce that popular local band JigJam are their house band for the month of June. Due to popular demand, JigJam will be playing every Monday night for the month of June. JigJam are an exciting young band based around Tullamore and making their mark on the country’s music network. With their style originating from traditional Irish music, they also entice their followers with a unique mixture of folk, modern, and contemporary music with a phenomenal bluegrass twist. With outstanding lead vocalist Jamie McKeogh on guitar and kick drum, the band is complemented by double bass extraordinaire Cathal Guinan, who also plays heartbreaking bluegrass fiddle solos. The band is wonderfully capped off by one of Ireland’s best five-string banjo players in the form of Daithí Melia. His remarkable talent is the heartbeat of the group as their lively set takes musicianship to a new level. Along with their technical musical brilliance they also offer an exclusive three piece harmony which is warming to the listener. Their influences include American group Punch Brothers, Mumford and Sons, and Bruce Springsteen and the Seeger Sessions Band. All three band members have won many accolades including All Ireland Fleadh Cheoil titles. This is a performance not to be missed. Catch them from 9pm on Monday. On Thursday June 19, catch Alan O’Neill at The Snug. Alan is a well known and very popular musician from Athlone and plays country, blues, rockabilly, and Cajun music in his own distinct style. The Snug Bar will have GAA, golf, and World Cup coverage shown on its many screens.